In review of the past year in the garden there is adequate cause for complaint, with deep and persistent snow that was followed closely by prolonged and miserable heat. Injury from the winter’s snowfall remains in evidence, though a large cypress was removed in its entirety, and other evergreens with sagging branches have been discretely tied into a bundle until the day they regain their rigidity. The cypress was not treasured, its removal was not mourned, and otherwise the damage was not nearly so severe as initially feared. The thick cover of snow insulated tender perennials, so that even a root of a not-quite-hardy elephant ear sprouted in the warmth of May. 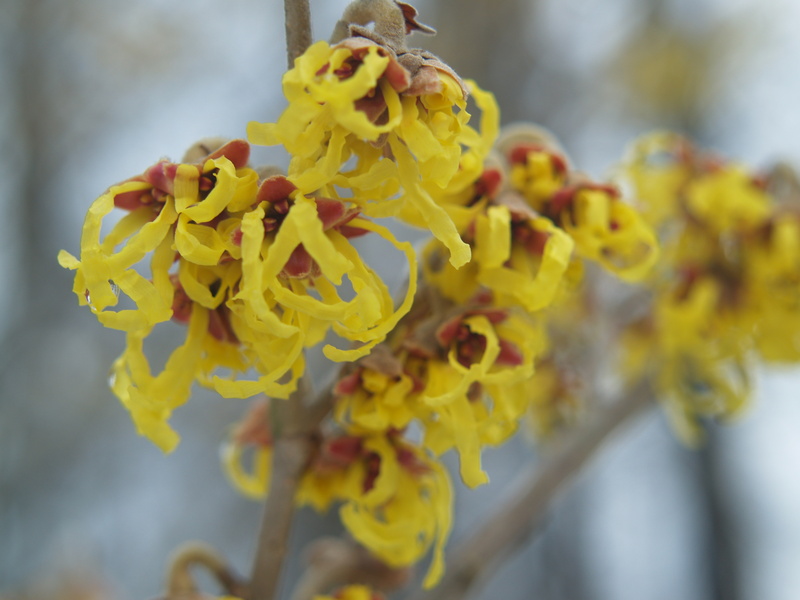 The first blooms of ‘Arnold’s Promise’ witch hazel (above) were particularly fragrant, and welcomed as I trudged through knee deep drifts in February. Inordinate heat arrived early in May, and though rainfall was not lacking, the number of days with extreme temperatures wore on, and much foliage was bedraggled by mid-summer. Through the year flowering was often early, late, or missing altogether, but there were few bouts (and none of serious consequence) with hail or high winds that have wreaked havoc in past years. In all, there has been much reason to be joyous. Today, there is reason to believe that a turn has been taken for the better, as the first significant snow of the season has bypassed the area, dumping many inches to the north and south, but only an inch in this garden. In my cold-natured, low lying garden remnants of earlier light snowfalls remain, and ice covers the ponds, quite the norm for the season. Late in December the hours of daylight are short, and birds have stripped the berries of dogwoods. 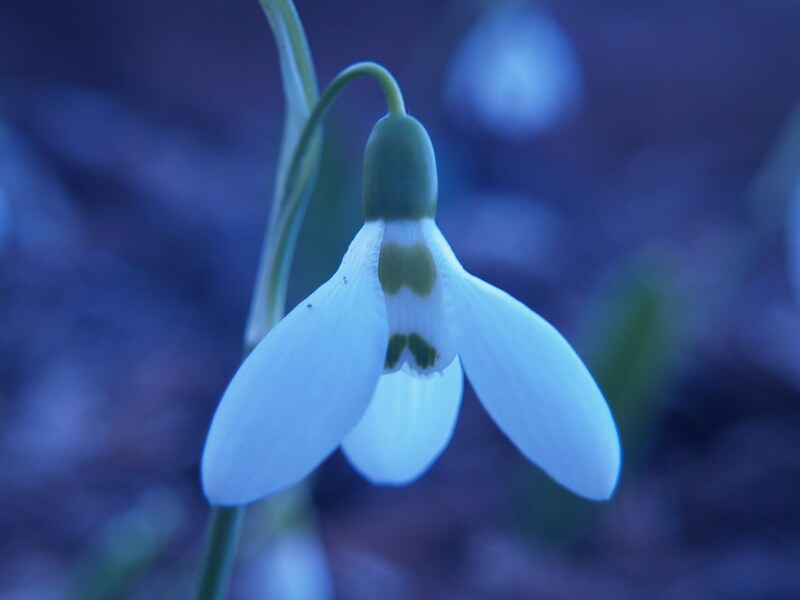 But, the minutes of sun are gaining as the winter marches onward, and in only a few weeks we will welcome the snowdrops and early irises, hellebores, and narcissus. On occasion I will survey the winter garden, examining buds and berries that are hardly noticed once foliage and flowers return. The buds of early spring blooming magnolias and edgeworthia expand ever so slightly as the days grow longer, hinting at the glorious spring soon to arrive.